BMW Introduces the World to an Old Friend, the New MINI Seven | Atlantic Autowerks Ltd. Earlier this month, BMW announced the release of a new, special edition MINI that pays tribute to the brand's heritage: the MINI Seven. Designed in the style of the 1959 Austin Seven, the MINI Seven incorporates a number of aesthetic and functional choices that honor the MINI's distinguished past. Available in both two and four door versions, the MINI Seven will be available in BMW's beloved "Lapisluxury Blue" color, as well as a limited selection of other, equally luxurious options. Featuring mirror housings, a metallic silver roof and brown bonnet stripes, the MINI Seven is certain to create a lasting impression on owners and enthusiasts with its subtle, timeless appeal. Inside, the MINI Seven is available with optional fabric and leather upholstery. With carbon black and satellite grey colorways to choose from - among others - owners will be afforded a wealth of exterior and interior options. Aesthetics aside, the MINI Seven also incorporates all of the power - and fun - that the MINI brand is known for. An impressive engine, tight handling and dynamic stability control ensure that, while the vehicle's appearance is firmly rooted in the company's past, its performance capabilities have been brought into the future. 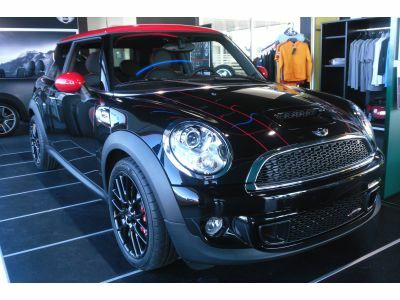 At Atlantic Autowerks, we're crossing our fingers that one of the new MINI Sevens makes it into our repair shop. As the leading BMW and MINI repair shop in Virginia Beach, we've had the honor of working on some the company's most elegant, luxurious vehicles. From oil changes and inspection services to air filter replacements and brake flushes, we offer an unparalleled range of services that ensure that our customers' BMWs and MINIs are operating at peak performance. If you're looking to schedule a tune-up for your vehicle, contact us today to get your name on the books!